Graham Wright Talks to Nicks! I’m working with the Brisbane Lions, forward scouting and recruiting. Have ya scouted and recruited many people? I’ve only been doing it this year, so anyone I spot will come through this draft. I’ve also been looking at other teams for Leigh and his assistant. What’s it like working back with Leigh? It’s great; I mean it’s fantastic working up there with Leigh and Gubby’s up there also as well as Craig Starcevich. It’s been fantastic, I’ve really enjoyed it they have been fantastic to me. Do you remember making that brilliant long run and goal at Kardinia Park early in your career? Ummmmm… hardy I think that was my first year when we played down at Geelong and I think I kick a few goals that day, but I do remember it but only just! Would a coaching career be on the cards, ala Gavin Brown? The midfield could use some pointers. Just recently, I coached for Springvale for a few years, yeah I don’t mind the coaching. Also ask him that when Collingwood went through the legionnaires outbreak at the spa, how did you feel about having his naked body shown on all the news bulletins. I didn’t even know it was to be quite honest, I don’t think it was too much of me. Must have been just my behind. How his body is coping since recovering from this illness? I’ve been fine with that; I do get cold feet with that I guess I was lucky to only get a mild case. What went wrong in 1991? Gawd … we probably got a late start because of the Premiership, we got back in December and then had a break for Christmas so we were always going to be a little bit behind the others. Obviously we had a few injuries earlier on, Darren Millane hardly played that year, I know I started late that year and we sort of made a run towards the end. It was very disappointing because we obviously had a good side. There was a few contributing factors rather than people saying it was a hangover, maybe there was but the boys were back and into it and we did make a run at it we just feel short of making the finals. Did he feel strange about quitting on 198 games (I’m pretty sure it was)? No I didn’t quit on 198 I played 201. Would we have won the 1992 GF with ‘Pants’ in the side? Well I think it’s pointless even asking the question…. Who was the best player he played with/against? Ah, tough question. Guys I played on, Michael Long, Robert Harvey, and Peter Matera were just fantastic players. Guys that I played with, I always thought Gavin Brown was the Best player I played with. He gets a little bit lost sometimes, people talk about Daic’s he was fantastic as well and even Pants to a certain degree but Gavin Brown was far and away the best player I played with. I was drafted quite early, I had spoken to the Pies but not Hawthorn and I was quite happy to come to Collingwood. I know we played a game against Hawthorn early on in my Career and had a chance to win the game towards the end and I hit the post. There was a bit of Irony in that. What’s his hair like now? Tess ask him if in 1990 when he just got piped by Libba in the Brownlow, does he remember a letter to the Herald Sun in about round 5 predicting he would win the medal – that was me! …I was almost right too. I don’t remember it no. I understand that you once attended the funeral of a young Pies supporter who was a big fan of his at the request of her family. Can you ask him to describe from a player’s perspective what the support of the fans meant to him and the players in general? 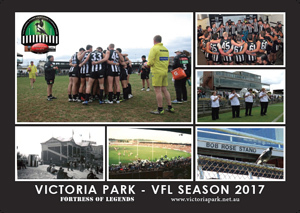 Ah, geez at a Club like Collingwood they are fanatical that was the first thing I noticed. But nah they were all good people and great to me I suppose, you always enjoyed being a Collingwood player and now an Ex Collingwood player. You always tried to do what you could and as you get older you have your own Kids and you understand how important it is to be a person that is admired and such, they are watching all the time. Speaking of which, how many kids have you get… more importantly how many boys. I’ve got two boys, 6 and 7. They both love footy and do Auskick with SOS and Daics boys. Listen if they ever got that far it would be great. I mentioned Monky’s boys and Graham said he can’t imagine a team of Father/Sons. Did he catch up with John Ironmonger at all after the pile-driving incident? Nah no, I never met John, it’s just one of those things that happen… I was very lucky not to more damage. After looking at the video I can’t believe I didn’t do more damage. He was one of my favourite players. I loved his pace and the way his heels almost kicked him up the bum when he ran. Was he actually as fast as he looked and how would his pace compare to players of today? I think I’d be OK if I was 22 or 23, I’d be used to the pace and style of today’s game. Do you think the game has changed significantly even in the short period since you left? I think their skills have really improved, they play possession footy, if you can’t hit targets now your really useless as a footballer, the disposal is just so important now days. Does he still follow the Pies? I do hope Collingwood goes well whomever they play, but my involvement is with Brisbane. Didn’t he come second for the Brownlow one year? At the time I wasn’t too fussed, I think I was about 7 votes behind with 2 rounds to go so I knew I was too far behind to win. We had a Grand Final to play 10 days later I wasn’t to worried about it but I certainly wish I had won it today. The Phantom asks Does he believe that anyone he played with has the potential to coach at senior level? Tough Question, I didn’t think I’d coach myself to be honest. The AFL is completely different and there are 3 or 4 guys that all think they would be good until you’re around then while they do it. I know Richo, Crissoisca Gavin brown and Micky have always wanted to do it, but unless you’re around them you can’t say. Did Daicos kick “those goals” at training? So they really were flukes? Oh No I don’t think they were Flukes either, I think it was just in the games he could do what he liked. I think he was fantastic. What was the camaraderie like in the 1990 team? Great we all got alone really well, no one had a problem with anyone. What position did he love playing in? Did Mathews lose the players and if so when? Towards the end of his time at Collingwood, he was just at the end of his time. I don’t think he lost the players, but everything I think about football is based of Leigh Matthews coaching and thoughts. He’s got fantastic thoughts about the game generally and to be honest I think his time out of Football has made him a better coach now. 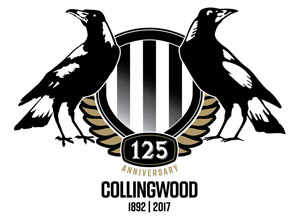 If 1 above is yes did it look the same as 2004 and 2005 for Collingwood? Difficult question to answer cause I’m not there, I have never been coached by Mick but I think anyone who has coached 500 games of League football knows what he is doing. 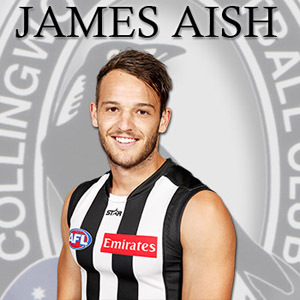 I think at the moment to be brutally honest Collingwood’s list is not that good, I don’t mean to derogatory to any of the current players it’s just the quality of the list is not as great as you would want it to be. He has been there six years. Yeah part of that reasonability has to come back to him, but it’s more so the people out watching the under 18’s. So I can understand from a training perspective but he the reality is he is not the one out watching the under 18’s and no-way can anyone put that blame on him. How did it feel to spank Gary Ayres at Waverley kicking 6 on him as a young kid? I don’t know whether I kicked em all on Gary, but I had played 5 or 6 games of footy and as a young bloke you’re just happy to play well. We had won our first 5 games that year; I was more disappointed to lose. Did he want to belt Steve Kolynuik (sp?) That day when he ran around him to kick the sealer? No, I wasn’t too fussed and he was good enough to get around me, I was sold the dummy and was beaten on the day. What does he think of Nathan Buckley’s captaincy now and what did he think of it early days? I think with Bucks to be honest he has got better as he has got older and ya know what even into his 30’s when he had his injuries. When he was 29, 30, 31 that was I mean they were the best years of his career I reckon. I’ve got no doubt I didn’t play with him when he was at his absolute best and um as I said that’s why I rate Gavin Brown ahead of him. What does he think of the two players who have worn #19 after him? Nick Davis, I’ve got a lot of time for Nick Davis he is one of the most talented footballers and I’m a little disappointed he isn’t at Collingwood to be honest. I have a massive amount of time for him and his old man(father) wore it I think it’s great. Andrew Williams I haven’t seen much of him. How glad is he he didn’t play in ’99? I was happy I wasn’t there it was time for me to retire. To be honest it had to happen, ya have to bottom out a bit. I think Tony did the right thing as well. Were gunna play the kids and all, I think he left em with a pretty reasonable idea of who was who. How does he feel about Collingwood move from Victoria Park? Fine I think it’s the best move they made, I think its fantastic I have been through the place last year and though, well if you can’t get a kick you should be ashamed of yourself. What was it like running out on the ground for your first senior match? In Brisbane playing at Carrara, had a run around got a few kicks and we won. Do you see Denis Banks at all and if you do can you tell him to talk to Tess for the next Nicks Interview? Nah don’t see him all that often. Ask him why he helps out at the Brisbane Lions these days? Ask him if Mark Bayliss was as arrogant as Brian Taylor suggested in his book? No I found him all right. Thanks everyone for your questions, without your input these interviews would be hollow. Thanks Graham for being so generous with his time and I’m sure we wish the best of luck in his new pursuits.